Updated: 2009-12-05. Something not right? Please update the information. 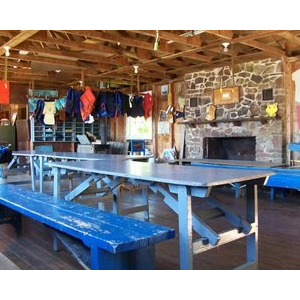 The Sunken Lake Camp is a rustic camp, available for rental by youth groups and other interested parties. Facilities include the main lodge with electricity, wood heater, fridge, gas stove, running water, tables and chairs, and outfitted kitchen; and three cabins each with bunks for 8.